Home » Blog » Insurance Brokers Perth: How Do They Differ From Insurance Company Agents? It’s easy to think that insurance brokers and insurance company agents are the same thing. After all, they both help organise your insurance, right? Yes, it’s true that there are similarities between the two but there are also some important differences which set insurance brokers apart. Before you decide who you’d prefer to go with, let’s take a look at these two roles more closely. At first glance, there are a lot of similarities between insurance brokers and insurance company agents. Both specialise in insurance and have the same training when it comes to managing your risks by applying the best insurance policy to suit your needs. They not only offer you professional advice in the early stages of taking out your policy but also support you in the event of a claim by dealing directly with the insurer on your behalf. Your broker or company advisor will both be subject to licencing requirements which allow them to practice. However, the main difference between the two is that insurance brokers represent multiple insurance agencies while insurance company agents represent only one insurer. An insurance company agent is someone who acts as an agent for individual insurer and is across all of their various policies and packages. They receive commission directly from the insurance company if a client takes out a policy with them. Because they deal with only one insurer, they have intimate knowledge of the individual policies offered by the insurer and can work with you to see which product suits your situation. However, there are limitations when you go through an insurance company agent as they can’t offer you a range of options from different insurers. When you choose an insurance broker, they have access to a range of policies from different insurers which allows them to shop around until they find the best product for your needs. Unlike insurance company agents, a broker has the freedom to speak with a number of insurers rather than being restricted to one company. Due to their knowledge of the products offered by insurers, they will be able to obtain quotes for policies which cater specifically to your areas of risk and can negotiate the best price on your behalf. Their ability to approach a number of different insurers offers greater flexibility compared to company agents. 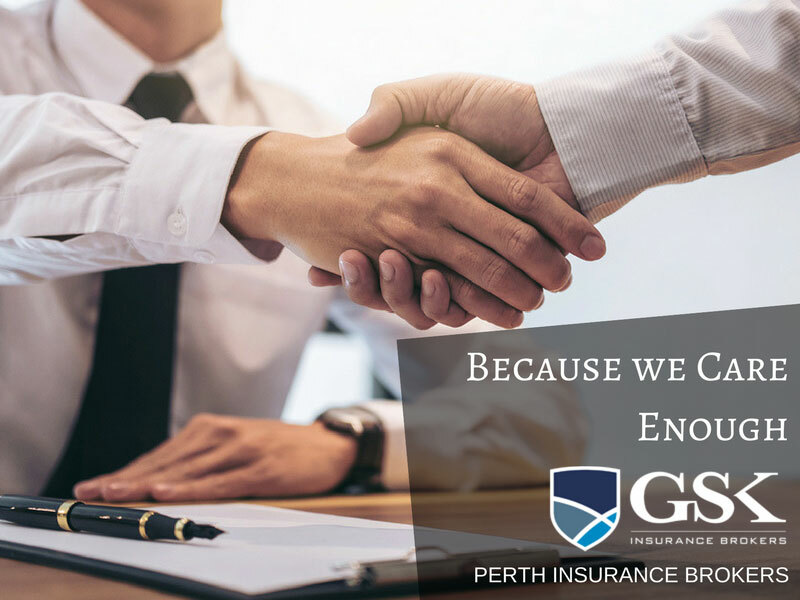 If you want professional insurance brokers in Perth, WA, look no further than GSK Insurance Brokers. We’re partnered with a range of different insurers and our experienced Perth insurance brokers will review a number of different products to ensure you get the best cover possible at a competitive price. Our loyal customer base stretches across Australia and we pride ourselves on our excellent customer service. For the best insurance brokers Perth, contact GSK Insurance Brokers today on (08) 9478 1933.